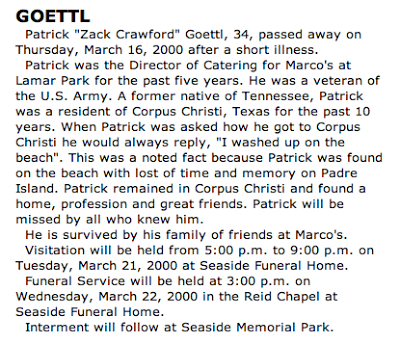 Some time later, Patrick was found on a Padre Island beach in Texas. He had been a victim of a hate crime. As a result of the trauma, he lost his memory. As the details became clear, a former co-worker at the Clarksville Red Lobster passed on the phone number for the hospice where Patrick was staying. I called and left messages, asking him to call me back. The Tennessee his memory afforded was not a place where he felt comfortable anymore. He needed to make a new life in Texas, one without the pain of the past. In 1998, I was living in Fort Collins, Colorado, and news of Matthew Shepard’s death flooded the media. All the emotions from 1990 came rushing back. Matthew’s lifeless body on the fence became Patrick’s lifeless body on a beach. If I couldn’t connect with my friend, I would fight the hatred and fear that took him away. I devoted my time to human rights … rights for all. I attended PFLAG (Parents, Family and Friends of Lesbians and Gays) meetings, and listened as parents warned, “Watch what you say. When you say, ‘Someday, you will marry a nice girl,’ to your son, you’re building a wall.” Along with the normal fears of becoming a parent, I was determined that I would never build that wall. When I had my first child, I promised to teach him to never fear those who were different and to never fear being different himself. I still held the memory of Patrick and the hope of reconnecting with him someday. I called the hospice until they informed me that he was no longer there. I searched the internet for Patrick Goettl and found nothing. In 2009, I moved to Wisconsin, his hometown state. This started my search again. Still, nothing emerged. Last summer, I decided to search for Patrick again. This time, I based my search on the crime of his abduction and discovered that he had changed his name to “Zach” and had passed away in Corpus Christi on March 16, 2000, a month and a half before my son’s birth. This time, my loss was final. I connected with his former boss in Corpus Christi, Marco Mattolini. He filled in the years I had missed, and I told him of the man named “Patrick.” The man Marco knew as “Zach” was Marco’s “right-arm,” and his death affected him and his business. “I might cry now,” he said as he explained how Patrick had died of pneumonia, a complication due to AIDS. I wanted to be there at his bedside. While I was rejoicing in the new life I had as a parent, he was wasting away in a hospital bed. I have imagined and dreamed of what ifs … if I had made a different decision … if our society had been more like it is now … if he had found a partner to love … if his family had accepted him as the person he was. At The Changing Face of Adoption Conference in Appleton, we were asked to talk about how our race impacted our lives. Interestingly, my fellow panelist, Alex, made it clear that his haunts were not about race but about his being gay. In the same breath, he punctuated the love and support from his adoptive family. He said he felt safe at home. I was reminded again of the pain Patrick had felt as his adoptive family slipped from him. I asked some social workers if they ever mentioned to prospective adoptive families that there could be the possibility that their child might be gay. They said they tell families that a child’s future self is unknown, but they did not specifically mention sexual orientation. We talked at the conference about making changes in transracial adoption. There are huge waves of this spreading love for our cultures. But what about love for other aspects of our being? Just as Tom French said, “To have a child is to embrace a future you can’t control,” we as parents can control our love. We can love our children without judgement. I was so hoping this was not what I would be reading. Heartbreaking and I am so sorry for your loss. 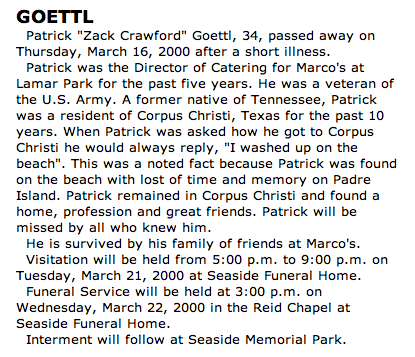 In trying to find the good I am so glad to read that Patrick did have his "family of friends". However, I don't think homophobia is anything to do with adoptive parenting. There are sadly many biological children who have been rejected by their biological parents in just the same way that Patrick was by his adoptive parents. It is society as a whole and in particular religions that teach hatred, judgement and lack of acceptance of others that need to change. I do believe that change is happening but we have to keep pushing for it and being part of it. I am very hopeful that our children's generation will be the ones who will finally make sexual orientation the non issue for everyone that it should be. Debberoo, I understand what you are saying. You are right, and what I am writing here can be applied to every parent. I have learned to parent based on this experience. I have other friends who are shut off from their biological families in the same way that Patrick was. But somewhere in WI, a family has photographs of Patrick, as a baby, a boy, a teen. As some adoptees feel loss merely from the circumstances of their adoption, Patrick lost again when he came out to his adoptive family. We talk about race to our adoptive parents, I think we should also talk about sexual orientation. Parents are chosen for adoption and those who do the choosing have a responsibility to choose people who will parent well without being racist, homophobic, disabilist etc. 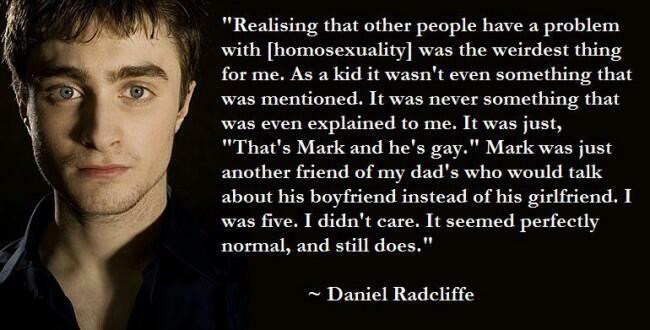 Our sexual orientation is part of our identity and will always have significance. It cannot be a 'non issue'; that is the equivalent of saying the colour of a person's skin doesn't matter, which is a colour blind statement and racist. Telling a child you will love them 'even if' they are gay suggests that being gay is somehow inferior or an exceptional circumstance. Being gay is not a lifestyle choice -surely it's time we knew and understood this, particularly if we are raising children, those we gave birth to or who have been born to other parents? Those adopters who teach hatred, discrimination and practise homophobia should never have been approved to adopt -the lives of adoptees depend on appropriate and suitable approvals. We clearly have a very long way to go!